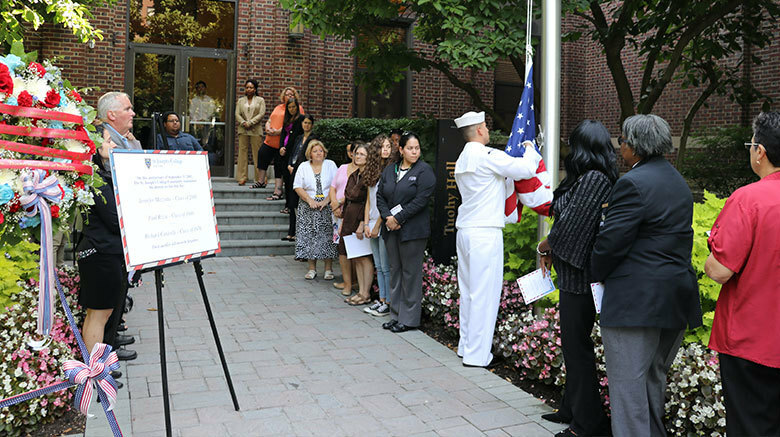 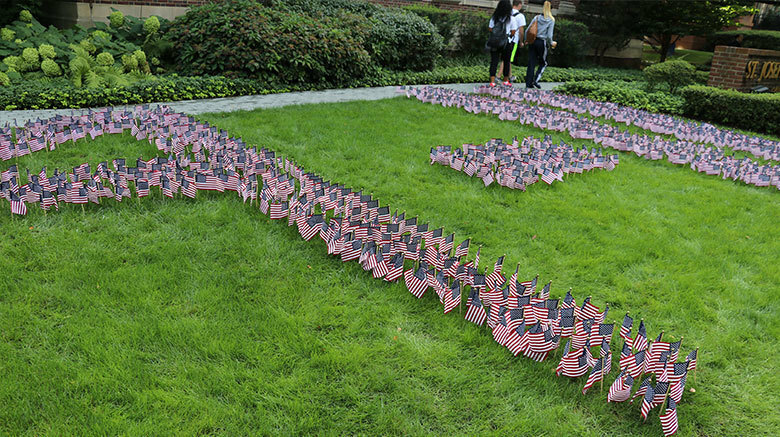 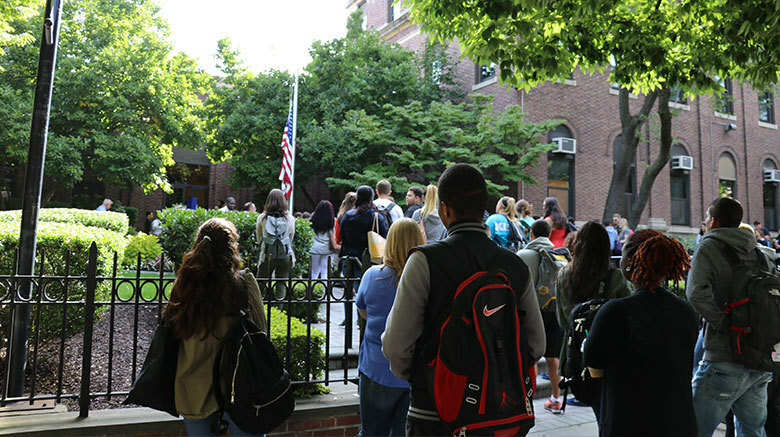 St. Joseph’s College honored the victims of the Sept. 11 terrorist attack on Monday during remembrance ceremonies in front of SJC Brooklyn’s Tuohy Hall and SJC Long Island’s O’Connor Hall. 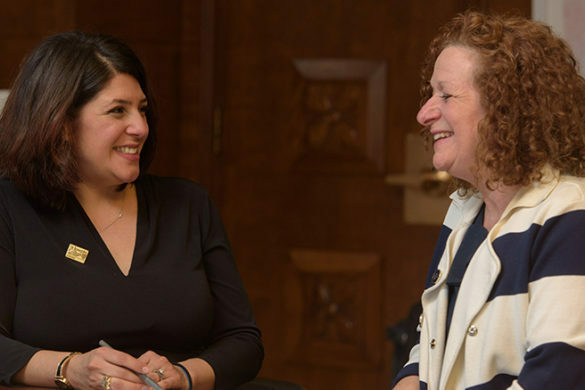 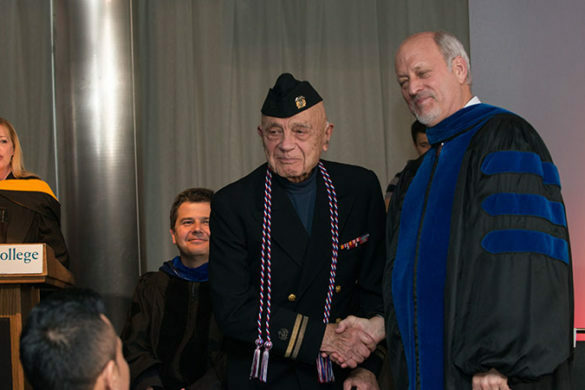 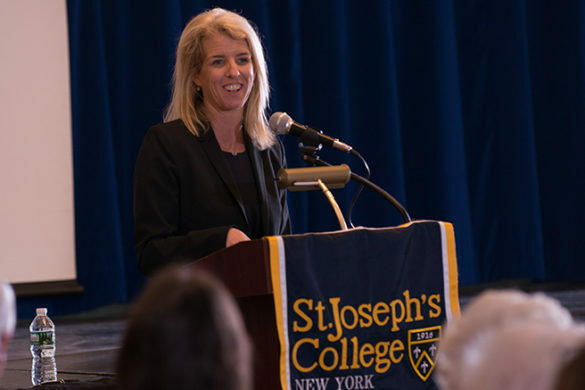 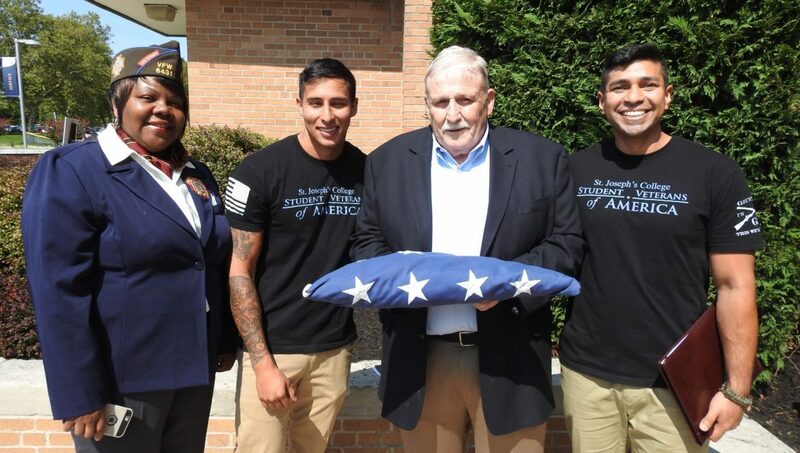 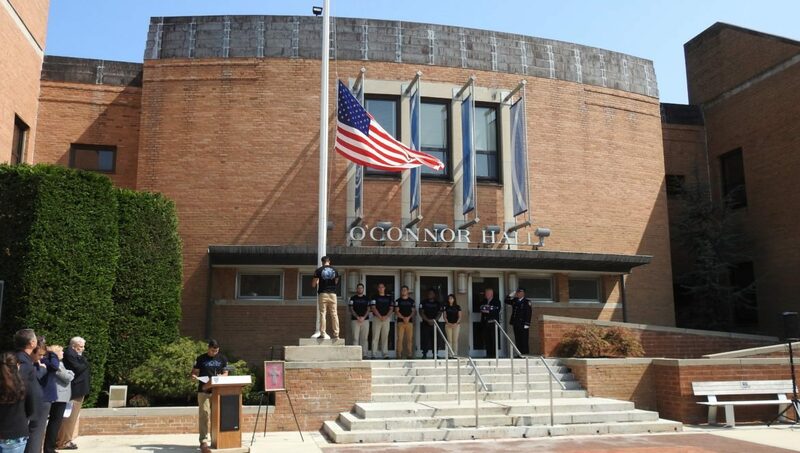 At SJC’s O’Connor Hall, Director of the Office of Military and Veterans Services Erin D’Eletto spoke out to a large gathering of students, faculty and staff, during a ceremony which saw what has become the traditional changing of the campus’ American flag. 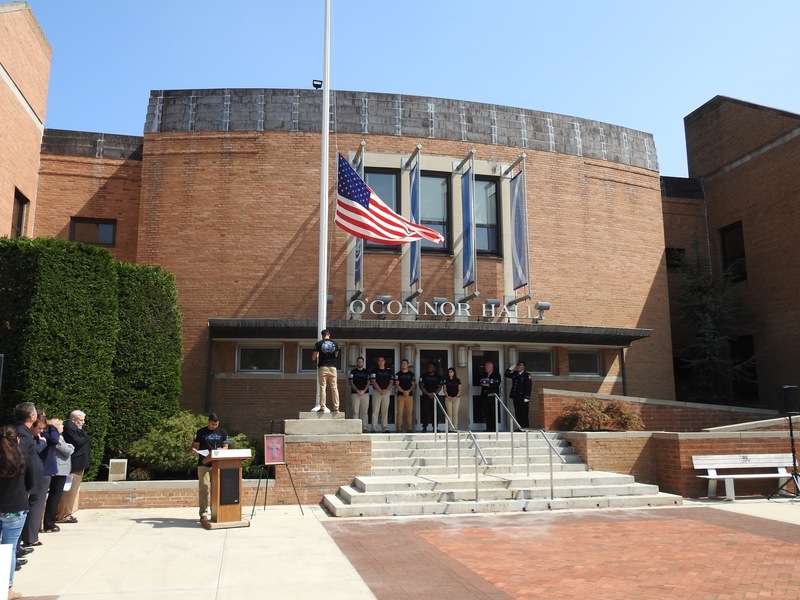 James O’Donnell ’10, an FDNY firefighter who was in command of a ladder company that took part in rescue efforts at the World Trade Center on Sept. 11, recalled the day’s horrific events and sad weeks that followed. 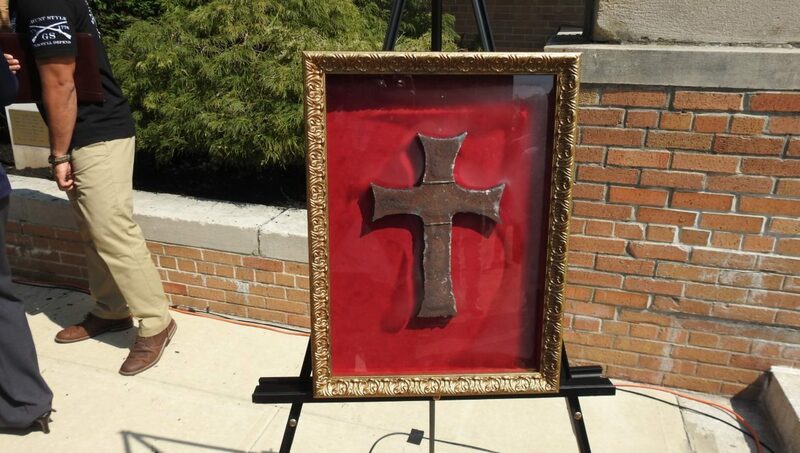 During those months, O’Donnell made two Celtic crosses from a steel I-beam that was once part of the World Trade Center. 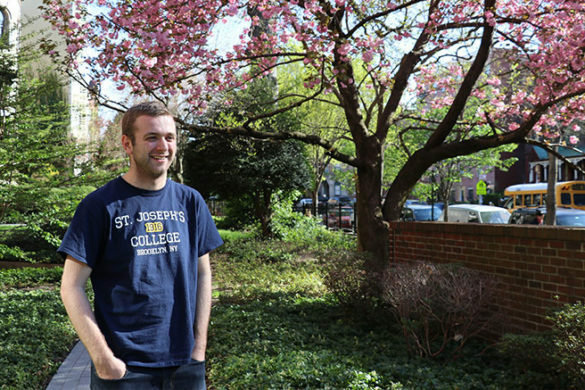 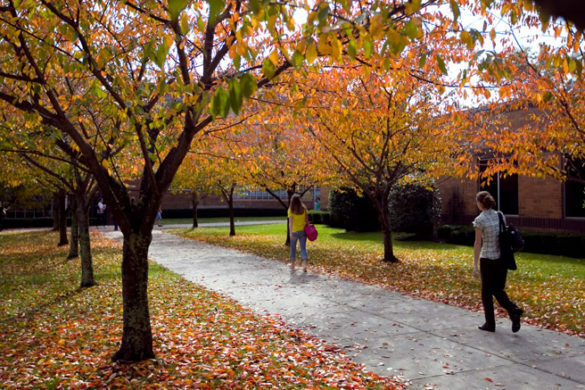 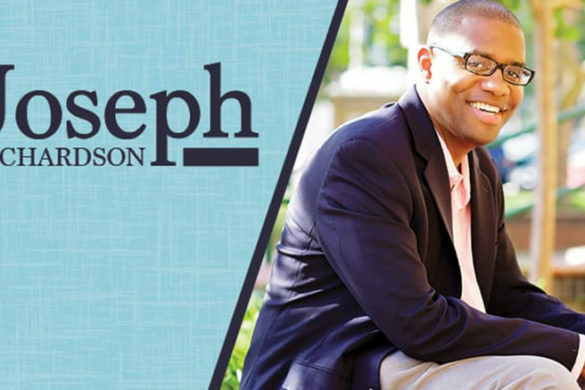 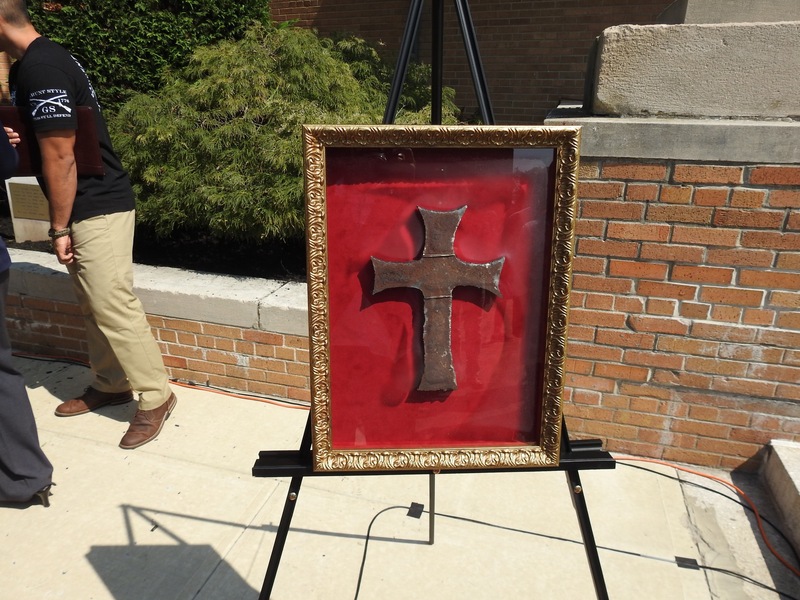 The SJC alum donated one of those crosses to St. Joseph’s College, where it will be displayed in SJC Long Island’s Student Veterans Lounge. 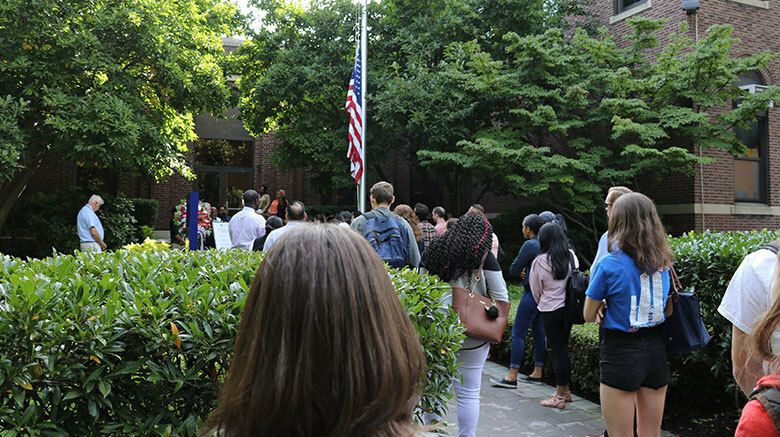 SJC Long Island’s Director of Campus Ministry Cristian Murphy led the memorial in a closing prayer. 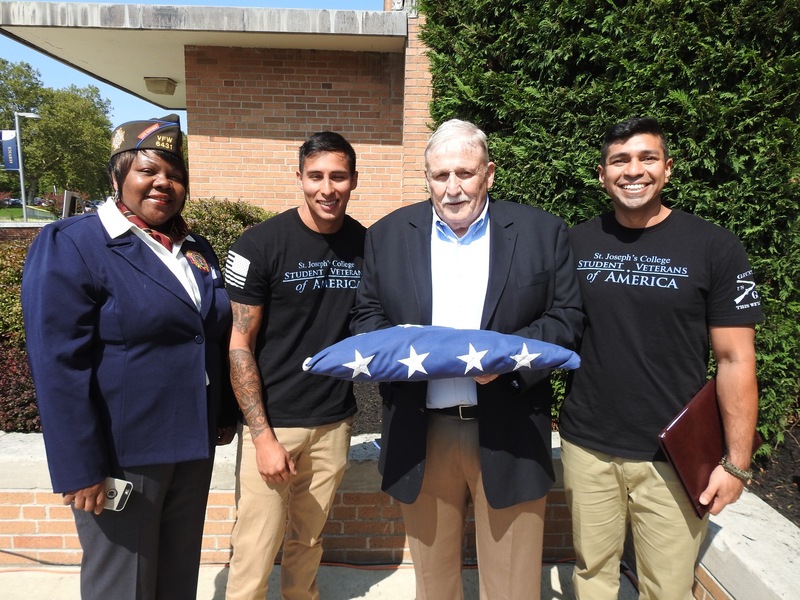 Jamie Aparicio, president of SJC Long Island’s Student Veterans Association, spoke briefly before leading the changing of the flags ceremony.